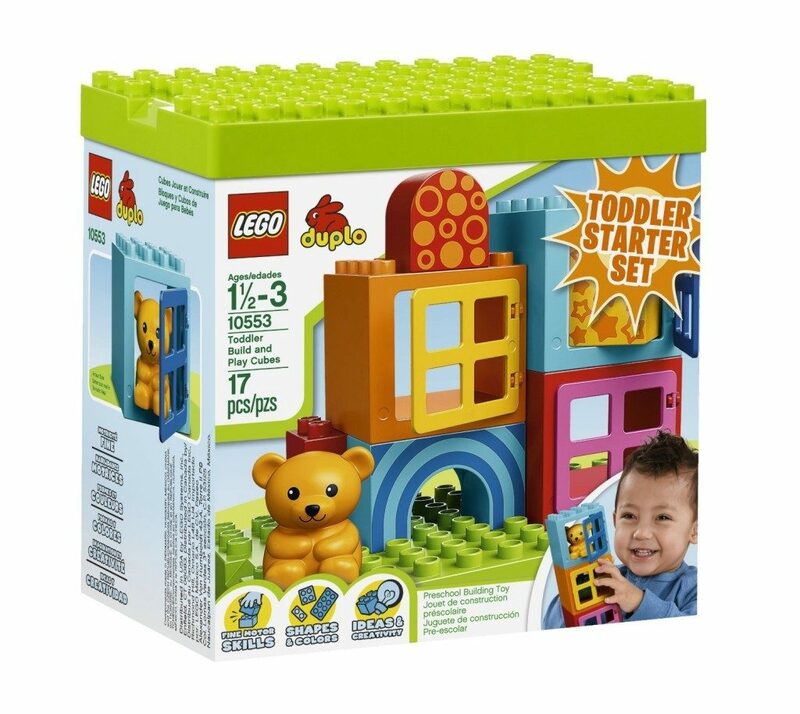 LEGO DUPLO Toddler Build and Play Cubes - Lowest Price - $9.09! You are here: Home / Great Deals / Amazon Deals / LEGO DUPLO Toddler Build and Play Cubes – Lowest Price – $9.09! LEGO DUPLO Toddler Build and Play Cubes – Lowest Price – $9.09! LEGOs are huge favorite in our house! Right, you can get the LEGO DUPLO Toddler Build and Play Cubes at their lowest price of $9.09 on Amazon (reg. $12.99). Features 3 window cubes, a cute bear and assorted decorated bricks in pastel colors. Extra large LEGO® DUPLO® bricks are fully compatible with standard DUPLO bricks and elements. DUPLO products are fun and safe for younger hands. Connect, create and pull along! Box lid doubles as a handy building plate.